It's an inconvenience when your watch stops working. 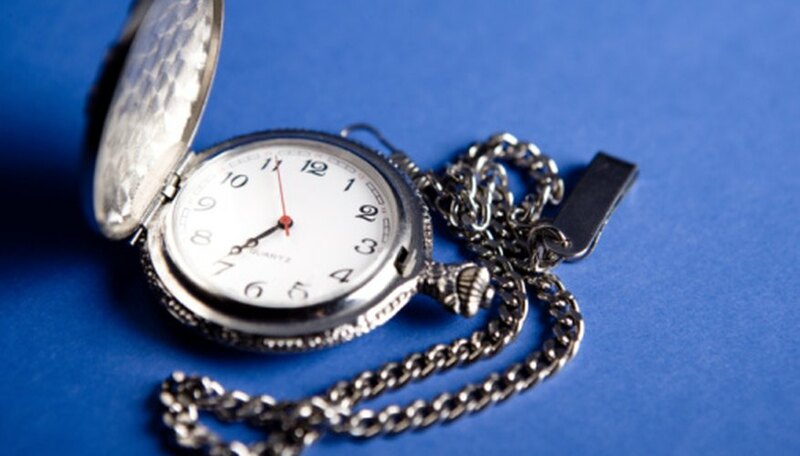 Whether your Westclox pocket watch is your main way of telling the time, or a valued antique kept safe at home, a broken watch can cause all sorts of problems. Professional watch repair is expensive, so it's worth trying to fix yourself. Watches are complicated machines, and there are strict limits to what should be done without training. With the right tools and a bit of care, there are plenty of common problems you can repair yourself. Open up the back of the watch. Some Westclox watches open when you press a button on top of the crown (the part you turn to wind it up). Others simply open it by hand, or need to be carefully prized open with a sharp knife. Check for dust, or anything caught in the mechanism. Remove dust with a dust blower, and take out anything larger with tweezers. Look for two prominent wheels (gears) in the watch (though owing to the unique design of some Westclox watches, there may only be one). On one of these, there is a little ratchet device called a click. Turn the crown (the round knob on top that you turn when winding) slightly as if winding to displace the click. Hold the crown, and move the click gently aside with something pointed. Wooden objects like toothpicks are best, as they are less likely to leave scratches. Loosen your grip on the crown slightly to let the watch gently unwind. Wind the watch and see if it now works. If not, let the tension out before proceeding. If the crown turns loosely without winding the watch, then the problem is probably the mainspring. This is a larger spring, found in a cylinder, which powers the watch. Use precision screwdrivers to undo the necessary screws and remove the largest wheel, then the metal plate behind. The mainspring should be in sight, and can again be removed with the screwdriver. Do not take it out of the cylinder – remove the whole thing. Make sure all the tension has been released before removing any parts. Many parts of a watch are delicate. If your Westclox pocket watch is important to you, or an antique, then consider having a professional repair anything but the simplest problem. If you are looking into watches as a hobby, or just want a practice before tampering with your watch, try first practicing on clocks. They work in virtually the same way, but are less fiddly and great for trying things out. Never remove the mainspring from its cylinder. It can be dangerous, and is unlikely to go back in without professional help. Take care not to cut yourself if using a knife to open the back. Clock History; First Aid for Injured Westclox; 1919. Matthew Scott began writing professionally in 2010. Most of his work has appeared online for Lufthansa and Cinemaroll, but he's also written for the "Universe." Scott holds a bachelor's degree in history with creative writing from the University of Hertfordshire.